Steve Jobs is already known for plenty of important milestones in the technology world, but it’s sometimes easy to forget that he had his fingers in lots of pies that either never saw the light of day or are simply overshadowed by greater accomplishments. Did you know, for example, that Jobs has his name on a whopping 458 patents? Even more impressive is the statistic that comes next. 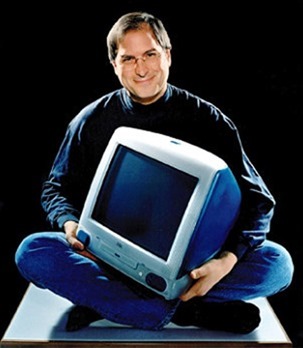 Did you know that Jobs has had a mind-bending 141 patents awarded in his name since his death? 141. Just think about that for a second. One hundred and forty one. That’s a big number, keeping in mind that the man himself is not even alive! Even with such accomplishments behind him, Jobs is apparently still not regarded as one of the greatest American inventors to ever walk the Earth. Even with his first ever patent for the “Personal Computer” under his belt from way back in 1983, Jobs still isn’t up to snuff for Florian Mueller, a patent consultant in Germany. Arguing that Jobs isn’t in the same league as Bell or Edison is a job for someone else, but saying that the reason he isn’t is because of the type of patents he has his name on strikes us semantics. At the end of the day though, it really doesn’t matter – Jobs’ name will live on regardless and we have a sneaky suspicion that would have done the man himself just fine. I agree with svn21. I respect the man and he has a huge impact on my life, but an inventor he is not. He did however took things that already existed, put a bunch of them together, and inevitably perfected their form and function.